This week another fabulous Canadian has come to visit. 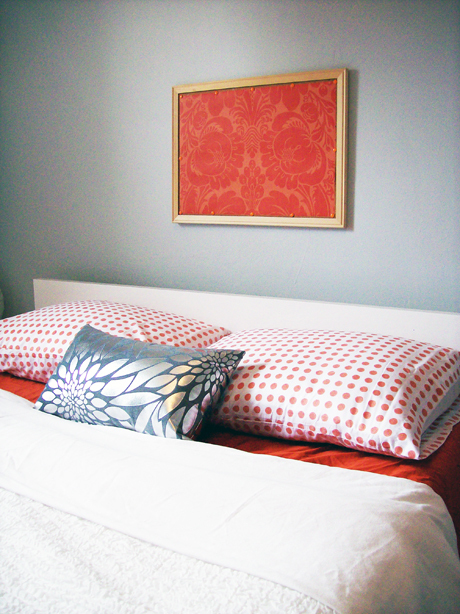 Amy Walters, is an interior designer, blogger and guest contributor to Style At Home's blog as well. 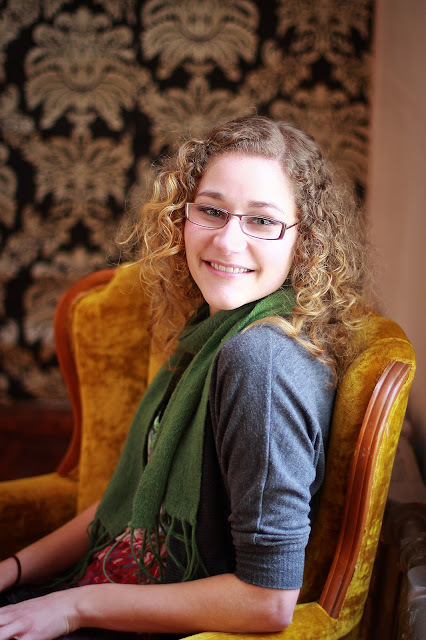 Not only can this girl style and design, but she is a fabulous writer! Amy is such an avid supported of Canadian bloggers and designers and is part of our western Canadian network . She always makes her rounds, reading and commenting on your blog, love that girl! And she has some serious design talent. 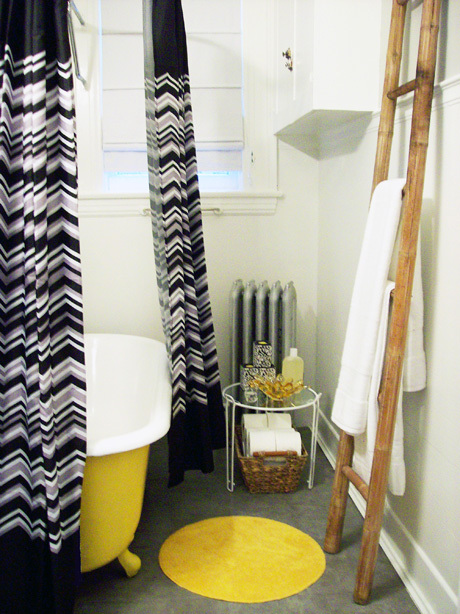 Recently she has been tackling renovations and has unveiled her renovated bathroom on Style at Home's blog. Are those Missoni shower curtains? 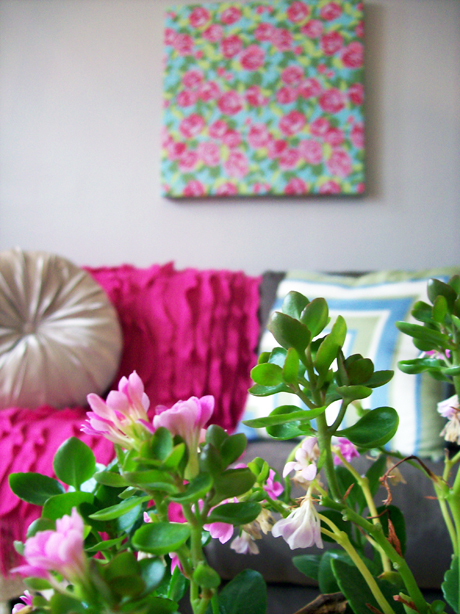 A styling shot for Style at Home's Fall Trends blogger round-up. 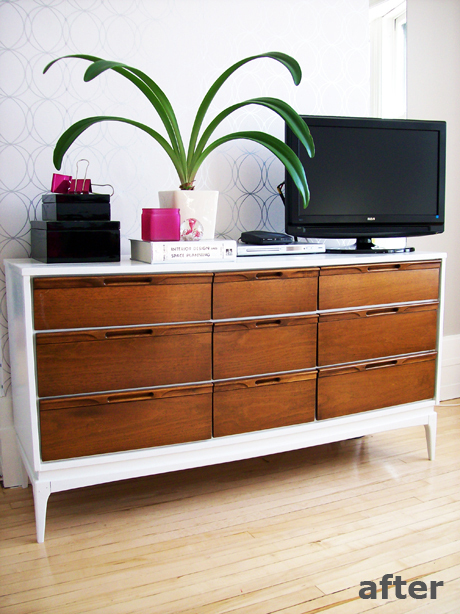 Her re-vamped vintage credenza that was featured on Design*Sponge! Tell us a bit about yourself, your background, your education, has design always been something you are drawn to? I grew up in a small town in rural Manitoba where interior design wasn't even on the radar; but even so, I feel as though design has always been a part of me. I doodled constantly, collected anything and everything, visited antique and decor shops endlessly and watched Martha Stewart Living every chance I got! Admittedly, I was not overly "skilled" in my creative ambitions as a child (you should see some of my childhood drawings and bedroom designs! ), but the passion was there and as I grew up, the passion developed into a natural ability to create beautiful designs, both with graphics and interiors. I spent years dreaming of a career in design before mustering up the courage to leave small-town life and head west to study interior design in college. After receiving a Diploma of Interior Design, I moved back to Manitoba to live and begin my career as a designer in Winnipeg. Blogging has been crucial in re-igniting my passion for design. This may sound crazy, but I found it really difficult to make time for creativity during my work week at a design firm. Blogging forced me to search and discover all the new and amazing talent out there! It's been so inspirational! Where do you go for inspiration for your blog? Other blogs, of course, are a go-to source for fresh ideas and inspiration. But, I must admit that I'm still pretty old fashioned and love nothing more than my monthly ritual of curling up on the sofa with my latest mag subscriptions and a warm cup o' tea! 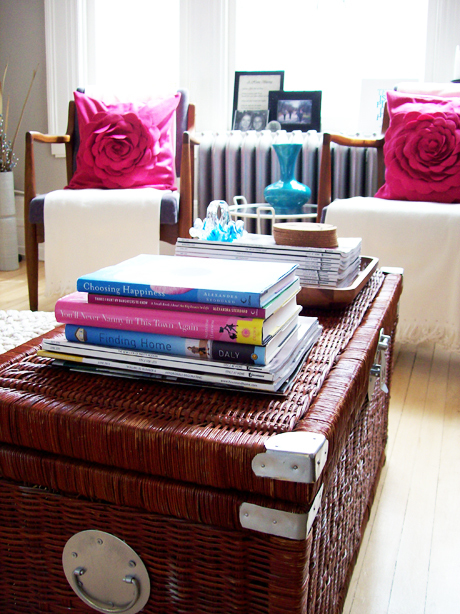 I also check back regularly on some of my fav online decor shops to keep on top of rising trends and new products. You are a Style at Home blog contributor, how did you land that fantastic opportunity and has it changed the way you blog and view design? Aaah...to be honest, I still pinch myself and wonder just exactly how I was so lucky to become a guest blogger for Style at Home! With a dream of bringing some western design perspective to the mag world, I threw caution to the wind...stepped waaaaaay out of my comfort zone...and emailed Style at Home's Web Editorial team about becoming Style at Home's western design-eye! Little did I know that they would be so sweet and actually respond to that wild email of mine! I was giddy beyond belief when they welcomed me on board. This experience has taught me so much about "bloggersland." I was only a month into my own blog and still fairly "green" when I joined the team of guest contributors at styleathome.com. The editorial team taught me all the ins and outs of blogging and social media. I'll be forever grateful for that! What do you see for your future, any hopes and dreams? Well, funny you should ask. I'm actually in transition mode as we speak. I recently gave up my full-time interior design position to work remotely for a design firm while I "attempt" to pursue a career in design writing. What this will lead to (freelance writing, a magazine or online internship or a paid blogging gig), I do not know! I'm taking a step out into the unknown and couldn't be more excited about the adventures that await. My style is quirky, personal, eclectic and very vintage. "Bloggeresque", if you will! I love playing the high/low game. I splurge on a few pieces I absolutely adore and can't live without, then save on just about everything else! I am from Manitoba, after all. I was born to be thrifty! Surprise, eh? Well, hopefully you haven't noticed, but I'm not much of a techie kind of gal! I resisted social media as long as I could, own minimal electronics, live without TV channels and still use an ultra-basic, 5-year old point and shoot camera ;) How I even started a blog, I'll never know?! How do balance work, blogging and renovations! I don't! Ha ha...my life has been a bit of a mess over the past year and half. Only now am I taking steps to get my feet under me and find balance. Adjusting my work situation to better accommodate the writing is hopefully going to play a huge role in getting my head above water! Ooh...travelling, no doubt! I would love to take a few months off and just travel, write about design and eat lots of yummy new foods! Go for walks, play with my baby nephew, watch a million re-runs of Golden Girls and eat ice cream! You are a Canadian living on the Prairies, how does living where things are so flat, winters long but one of the sunniest places in Canada, affect the way homes are decorated. Do you think the Prairie geography influences design? Manitoba's geography is all about extremes. Our topography may be flat, but it's always changing and never boring! I love that we really are forced to decorate with the seasons! 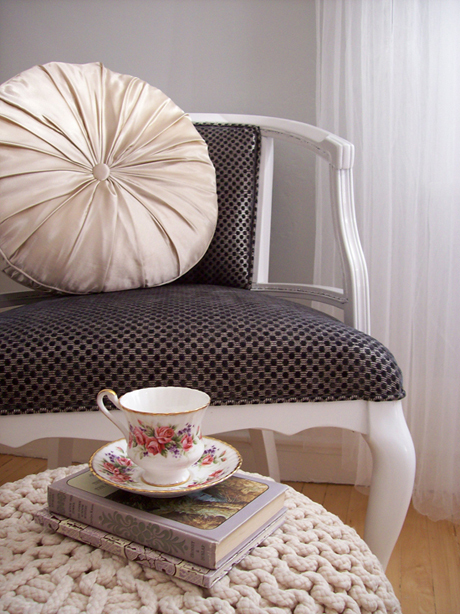 An interior must feel as warm and cozy in the winter as it does cool and airy in the summer! The one constant is the sun! No matter what the season, we can always rely on the beautiful effect of natural sunlight. It makes every interior look that much better. I'm a big fan! I really am "so Canadian"! I love living and designing here. Our country has a soft spot for all things Canadiana, but we get a taste of the best designs from all over the world too; and, we find a way to make it all work. Canadian interiors push design boundaries and encourage people to live eclectically and globally. And to me, that's as timeless a trend as any! Amy, thanks for being part of my series. So glad to have "met" you. You have such a fabulous design aesthetic, love how beautifully your home is put together. It has such a collected feel, not full of trendy trinkets, but classic and cozy. Looking forward to following your journey. Thanks for sharing another wonderful interview. Amy is a true talent, and it was interesting to learn more about her life and her background. I loved this interview!!! (I think I say that here every Sunday...) But I really feel like I 'know' Amy now! I'm so inspired by her... such a risk taker, and I love it that she's not a techie! Also... 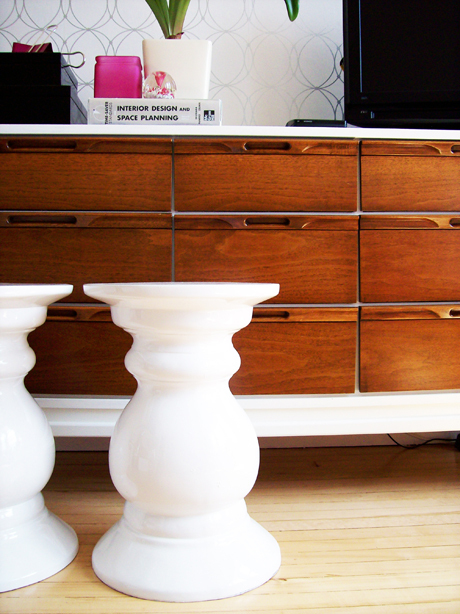 I've had that fabulous dresser in my 'project ideas' pinboard for ever! Had no idea it was Amy's! Awww...she's adorable and talented too! Loved learning more about Amy and have no doubt her writing career will take off. Great interview ........ as always Barbara! It's really cool when you read about someone such as Amy in whom you can tell has a real passion for what she does and how it evolves into something even better. Such a great feature! Amy, you're as charming and 'friendly' as ever!! Loved learning more. I love that credenza of Amy's. I also love that she Amy is not afraid of taking risks and attempting a bit of a turn in her career for more style writing - very inspiring. Heading over to check out her blog. Amy is such a sweet person and incredibly talented as well. I always love to learn more about the Canadian talent. Thanks for the intro. She does have great style and her photos are amazing!